On Monday 19th November, The Hon. Mr. Justice John Edwards, Judge of the Court of Appeal, led a seminar entitled “Structuring Judicial Discretion in Sentencing: the Current Irish Model.” Mr. Justice Edwards led the interactive seminar on sentencing law against the backdrop of penal polies including justifications for the imposition of punishment on convicted offenders, sentencing guidelines and non-custodial sanctions. The seminar was very informative and examined principles of sentencing, structuring judicial sentencing discretion and the proposed Sentencing Council. It was an excellent pedagogical exercise for students linking academic debates on sentencing principles with appellate review by the Court of Appeal. 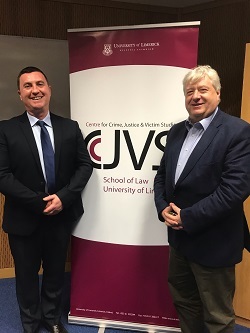 The seminar was very well attended by students and staff from the School of Law who benefited from Mr. Justice Edward’s valuable insights into the sentencing process. The event was organized by Dr Ger Coffey, Course Director of the LL.M./M.A. 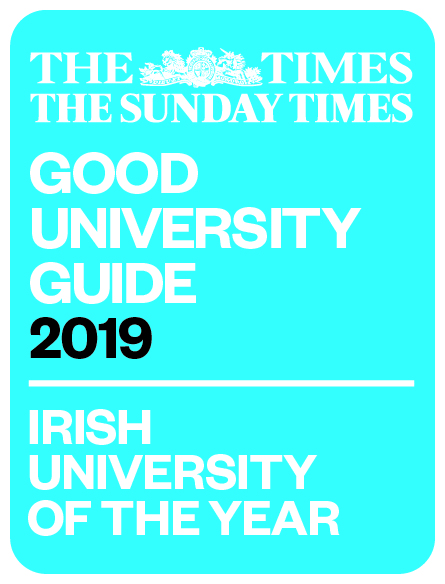 Human Rights in Criminal Justice masters programme, and member of the Center for Crime, Justice & Victim Studies. Pictured above: Dr Ger Coffey and The Hon. Mr. Justice John Edwards.